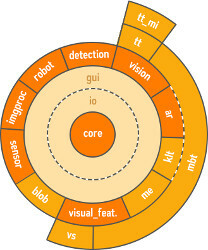 The following image illustrates this modular architecture, where for example the tt_mi (template tracker with mutual information) module depends on the tt (template tracker) module which depends on the vision (computer vision) module that depends at the end on the core module. Note that the gui (graphical user interface) module and the io (input/output) modules are optional. 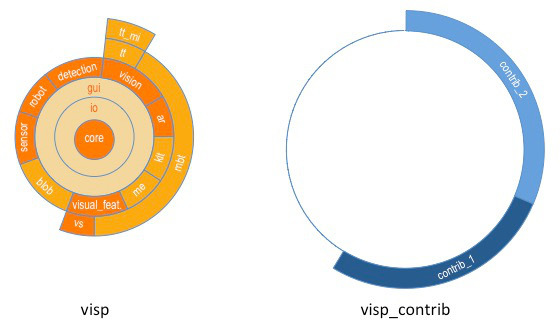 In this tutorial you will learn how to extend ViSP architecture introducing new contrib modules. 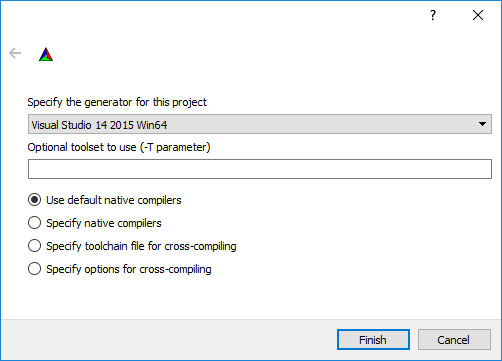 We assume here that you are familiar with an Installation from source and that you succeed in creating a first project that uses ViSP by following Tutorial: How to create and build a CMake project that uses ViSP on Unix or Windows. 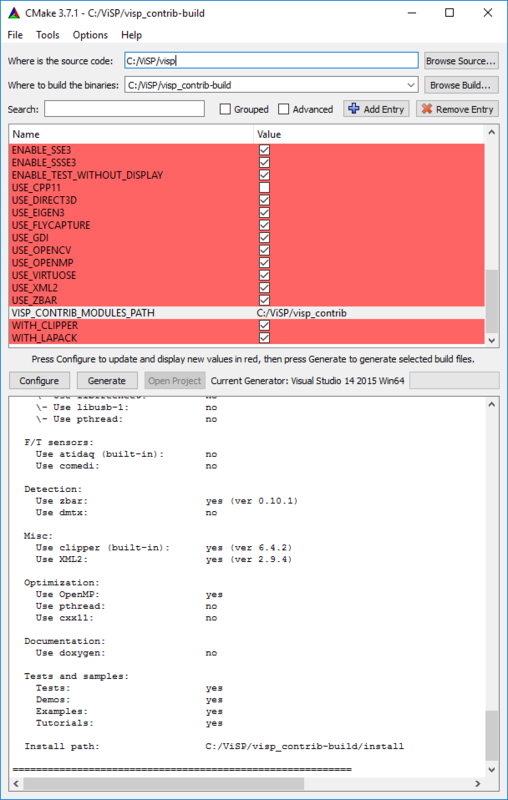 User may contribute to ViSP creating new modules. 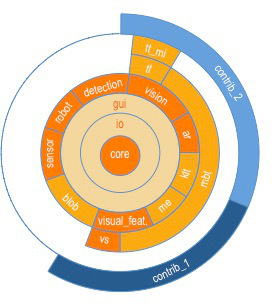 The following image shows the introduction of two new modules called contrib_1 and contrib_2. They depend on ViSP existing modules. Even if it is possible to introduce these new contrib modules in ViSP source code tree, we suggest to separate them in different folders. It will ease ViSP upgrade to future releases avoiding mixing all the source code. 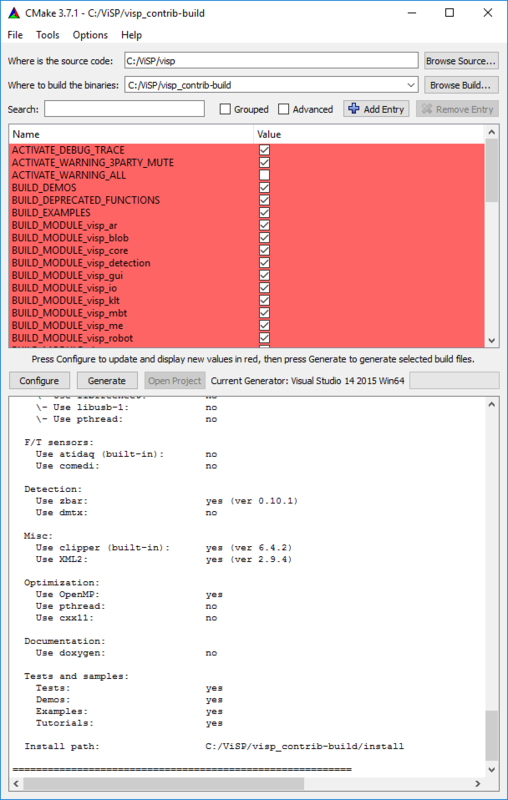 In that case, contributions are nothing more than new modules apart from ViSP. The following instructions allow to create a new module named contrib from scratch in a parent folder named visp_contrib. In this module we will introduce vpContrib.h and vpContrib.cpp files that correspond to vpContrib class implementation and the file test-vpContrib.cpp corresponding to a test that calls vpContrib constructor. There is also a CMakeLists.txt file that allows to build the module and the test. Now we are ready to build this new module. This ends the CMake configuration stage. 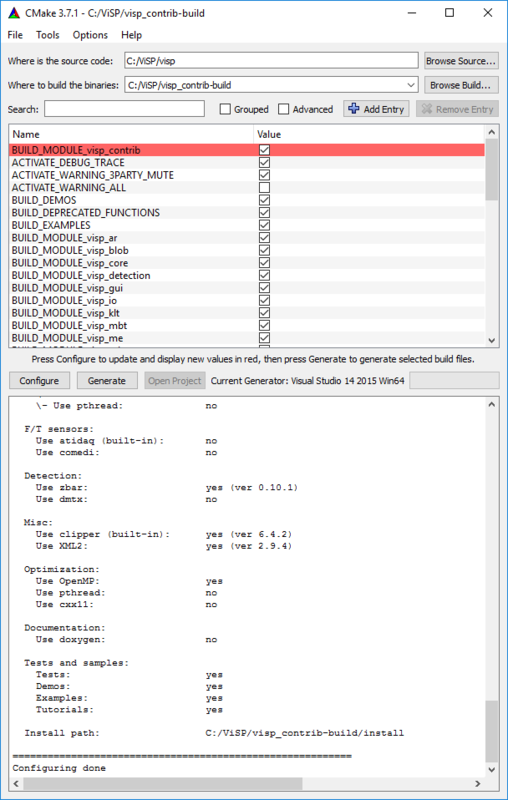 Start now Visual Studio and open the C:/ViSP/visp_contrib-build/VISP.sln solution file. 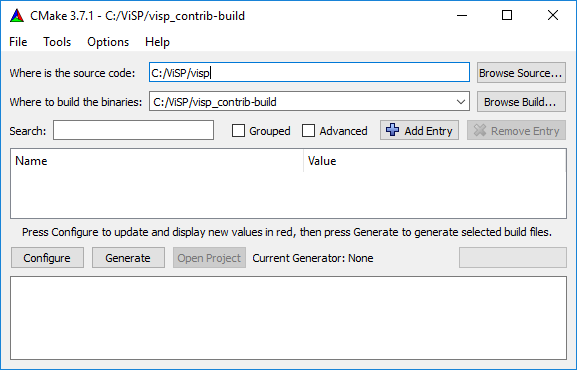 As described in Tutorial: Installation from source for Windows with Visual C++ 2015 (vc14) you have now to build ViSP from source. https://github.com/lagadic/ustk : a ViSP extension for ultrasound images called UsTK for Ultrasound Toolkit. This extension contains multiple modules. The modules/CMakeLists.txt file allows here to detect optional 3rd parties. It allows also to generate a separate doxygen documentation that contains only the classes part or UsTK. Tutorials and tests are also considered in UsTK. You are now ready to see the Tutorial: How to display an image.